Culinary additions to my holiday gift guide: I love to cook and every once in a while I find something that warrants inclusion in the column, like the Panasonic Countertop Induction Oven I raved about in 2017. Here are two nifty cooking machines that will make great gifts. 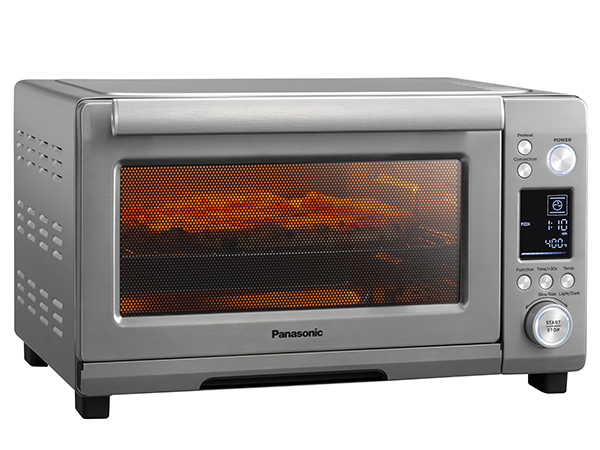 Panasonic High Speed Toaster Oven NB-W250S with Convection, $99: This 1750 watt, .9 cubic foot wonder requires no preheating and heats up instantly. The innovative design cooks food up to 35% faster than a typical toaster oven, and the rapid cooking times led one happy owner to describe it as a cross between a toaster oven and a microwave. Digital presets make operation incredibly easy, and it creates outstanding results that you would not expect from such a small, inexpensive appliance. You can see the NB-W250S at walmart.com, but you have to go to a Walmart store to pick one up, even if you order it on Walmart’s website. This hot seller (no pun intended) is in very high demand so if you want one, start looking now and grab one when you see it. Q. Is it possible to build a surround sound system with 5 speakers for under $300? I do have a subwoofer that I can still use, so I just need the speakers and receiver. I don’t want a soundbar as I like rear speakers for true surround with movies. A. Going wireless for the rear speakers is too much of a stretch at the price point. Wireless surround speakers are not as wonderful as you might think anyway because you still need to run power to them, which means a rear-located amplifier or individual speakers that must each have an outlet. You may as well just run a wire from the receiver. Get two pairs of Dayton Audio B452-AIR speakers ($55/pair) for front and surround speakers, and the Dayton Audio C452-AIR center speaker for $36. This tonally-matched system uses exotic AMT (Air Motion Transformer) tweeters and sounds better than you would expect for under $150 for the whole set . The Sony STRDH590 receiver can be found online for $178. It has 5.2 channels, Bluetooth and 4 HDMI inputs that support 4K with Dolby Vision HDR. So though it is inexpensive, you won’t be buying something that does not work with all the most advanced digital standards currently on the market. That puts us at $324, so I guess my answer is it is not possible to build a surround system for under $300, unless you want to buy speakers that are ultra-cheap and very low quality. The extra $24 over your budget is definitely worth the extra investment.